A motorcyclist riding with stolen credit and gift cards fled officers at speeds of up to 115 mph on Highway 101 in San Luis Obispo County Sunday, according to the CHP. The suspect managed to evade officers and get the CHP to call off the pursuit. But after riding down the Cuesta Grade, the motorcyclist came to a stop and waited for officers to arrest him. Around 3:28 p.m., Raul Mihai Pop, 25, of Anaheim was traveling southbound at 100 mph on Highway 101 in Atascadero just south of Santa Rosa Road. As Pop approached Santa Barbara Road, an officer tried to stop him. Pop did not yield and a chase began. Pop continued riding southbound toward Highway 58. The motorcyclist split lanes and used the right shoulder to pass slower moving vehicles, at times reaching speeds of 115 mph, according to the CHP. A CHP sergeant then advised the officer chasing Pop to discontinue the pursuit in the interest of public safety. The officer aborted the chase about six minutes after the pursuit began. Shortly thereafter, Pop pulled over to the right shoulder just south of the Cuesta Grade. Officers arrived and seized stolen credit cards and gift cards, according to the CHP. 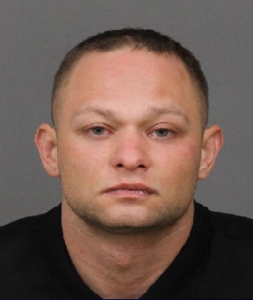 Officers arrested Pop without incident and booked him into the San Luis Obispo County Jail on charges of reckless evading, second-degree commercial burglary, fraudulent acquisition, use or transfer of a card, grand theft and petty theft. Pop is no longer in custody, according to the county sheriff’s office website. all that and he was released???? Many of the sport bikes will do over 180 mph and a couple can break 200 mph. I guess 115 mph was just what seemed to be cruising speed and he was paying close attention to what was in front of him? The explanation that set him free??? ?, theft seems to be a catch and release charge these days. He is Romanian, from Timișoara (“timmy-shwarra”) – I’ve been there, it’s a beautiful city, actually.